The most beautiful, fast, and smart email platform for Windows. Design is put in the forefront as well as quality of detail to interaction with the app. The concept is a boosted email experience that focuses on productivity. People have to use email, Mailbird seeks to help people use it in the most efficient and enjoyable manner, and we are putting that focus on the Windows platform. We want to give people the option build Mailbird with access to user inspired apps that work with their email habits. Mailbird helps users handle today's information overload by adjusting user email habits. 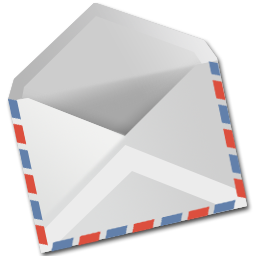 We've made a global product, Mailbird is email for Windows users that simply works. Mailbird has an abundance of features that matter for how you manage email daily. Some of these features include the first Email Speed Reader, In-line reply that organizes your emails with well-structured replies that are great for both you and the person or people you are emailing. We also have fast email productivity features like Quick Compose allowing you to compose an email even when Mailbird is not the active window. Quick Preview allows you to view emails by hitting space bar instead of before needing to double click to open the attachment in order to view it. Mailbird is all about saving you as much of your precious time as possible while improving how you manage email and your work flow. We have great apps that you can customize like Google Drive, Dropbox, Evernote, even Facebook and much more. Mailbird continues to evolve into the best email tool you'll ever use because the software continues to build upon new technologies and innovations. The best part for those who have many different email accounts is that Mailbird as an email client support multi-account support for both POP3 and IMAP email accounts - so now you never have to worry about logging into different web interfaces, only one that keeps you focused. Also Mailbird supports multiple languages which is needed for a global product. Mailbird now runs native 64 bit on supported systems. Allow sending MAPI modeless and where there's no recipients a modal window will open. Removed selecting search result when switching account. Fixed Outlook issue where messages sent with attachments would incorrectly show twice in the sent folder - despite correctly only sending once. Fixed an issue with insert link and insert picture buttons in quick reply. Fixed crash when scrolling horizontally. Fixed issue with Gmail messages being sent to oneself showing up as read. Fixed issue applying silent updates due to read-only files. Fixed issue undoing failed silent updates. Fixed issue with drag and drop attachment from recent files in explorer. Fixed issue when updating inline attachment. Fixed issue with apps sorting.